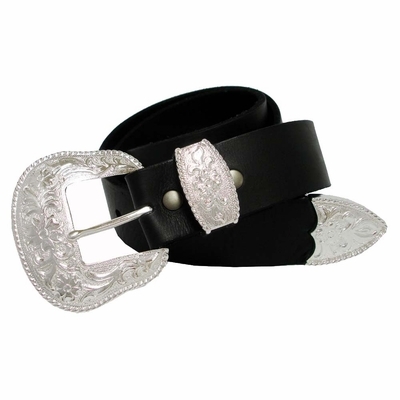 Shiny sterling silver 3 piece Buckle set, on Full Grain Leather belt strap. 1 1/2" wide. with snaps for changeable buckle.